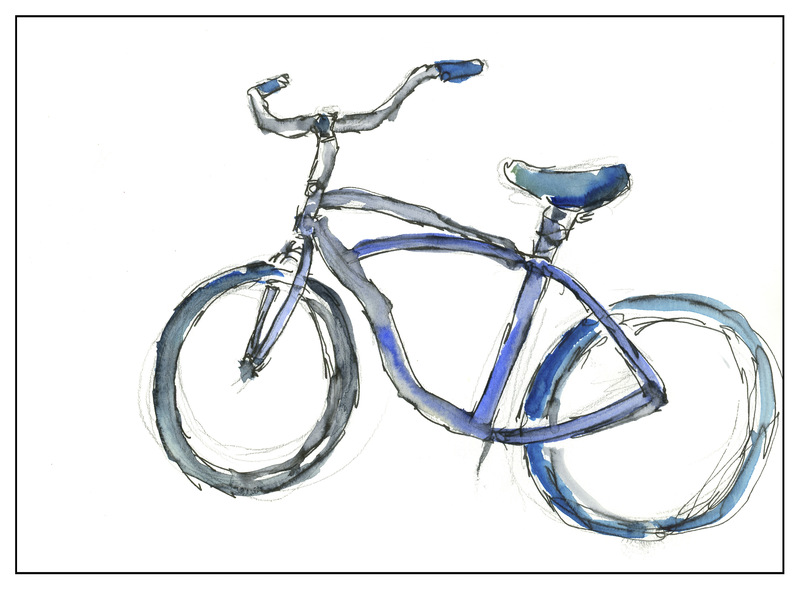 I’ve never drawn a bicycle, much less painted one, in my life. Welcome to my first attempt! Rather out of proportion – wouldn’t want to ride on those wheels – but did get it to be recognizable. Given the fact I broke my wrist and finger, I am surprised I can even draw, much less keep colors inside the lines.